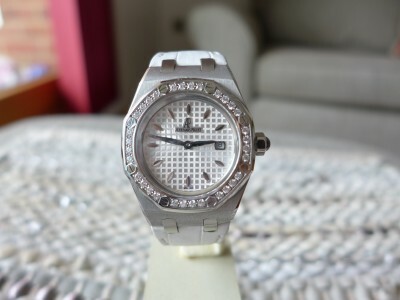 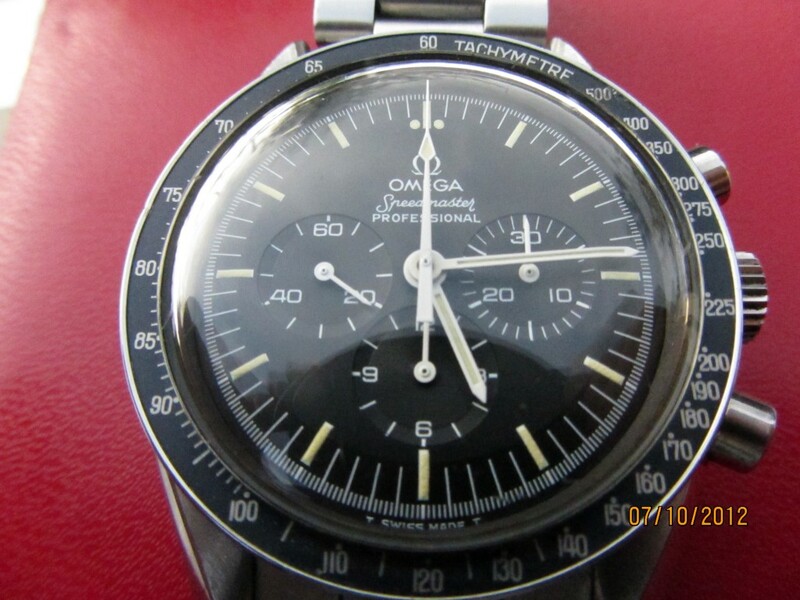 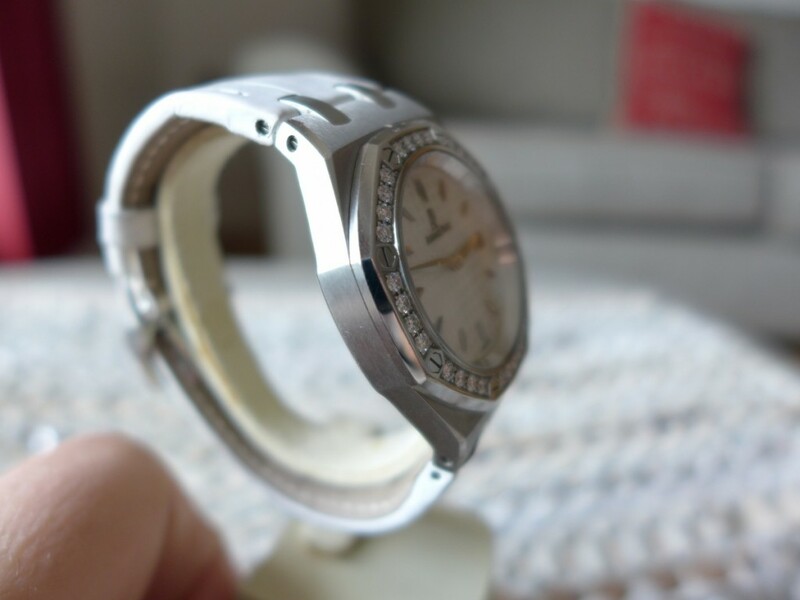 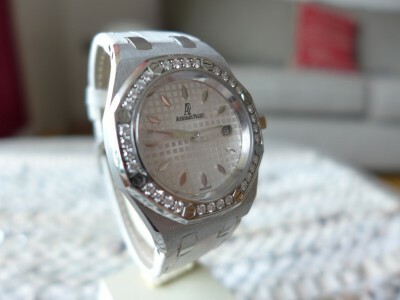 A very nice piece by Audemars Piguet the Lady Royal Oak 67651 with a stunning diamond bezel, not mine of course it is a fellow collector piece who has let me add to my blog. The AP is a brushed stainless steel version with a diamond bezel with 40 brilliant white diamonds factory set and 2713 cal quartz in house movement. 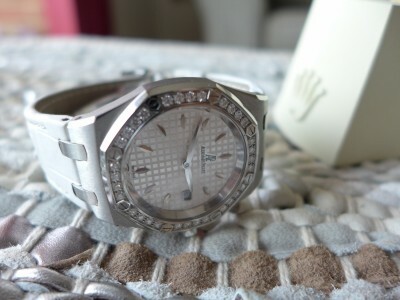 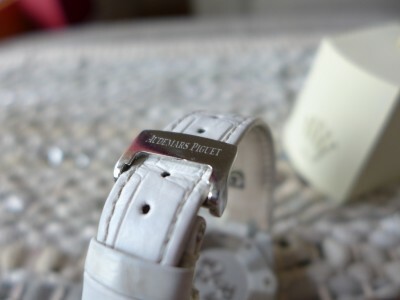 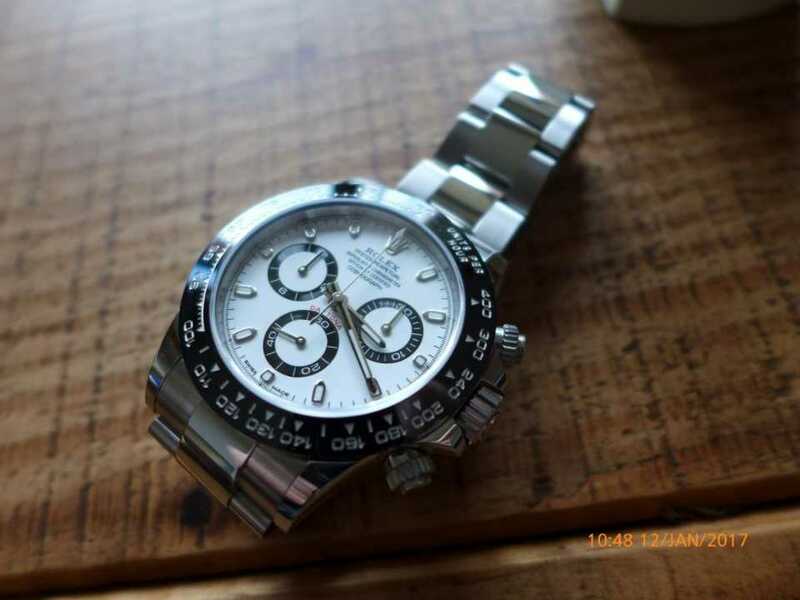 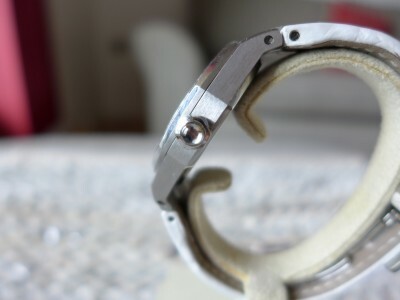 The case size is 33mm width and 7mm thick so is basically a mid size unisex watch but not sure would suitable for a man to be honest as its very lady like bling bling, watch is water resistant to 50 meters and has a hand stitched leather strap in white with a stainless steel deployment clasp which i do really like same as the men’s Royal Oak, overall a very nice ladies time piece but very expensive for the money with a RRP over £10.000, i recon you can buy something a lot better value for the money.